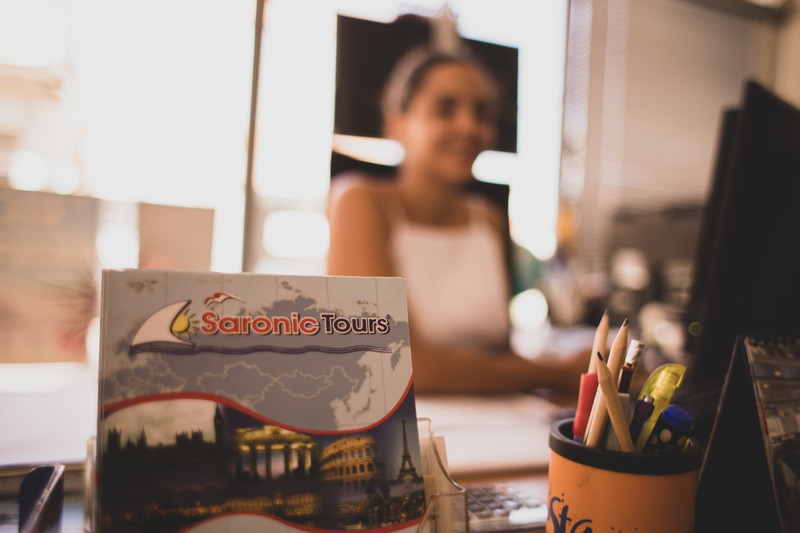 The travel agency “Saronic Tours” is specialized in inbound and outbound tourism for more than 40 years. Our high quality services as well as the strict criteria we set as a company have been recognized and awarded for many years by the largest foreign organizations. Saronic Tours represents the largest Polish travel agency in Greece, “Grecos”. We are particularly proud of the continuous development of our transport fleet, consisting of 21 modern buses that offer high security, comfort and style. We have a large range of vehicles such as cars, limousines, and 12 to 80-seat buses, ensuring coverage of all the needs that arise depending on the group and available budget. In the new privately owned garage, the fleet is strictly controlled by experienced staff and any maintenance is required by qualified technical staff. Our office team provides full support 24 hours a day, 7 days a week and it is always available to meet all your travel needs. Thanks to our excellent management and performance of transport operations, TUV Austria Group has certified the quality of our services with the ISO 39001/2012 quality management system.